The Gaiam Balance Ball Beginner's Kit contains all you need to get started with balance ball or gym ball fitness training. Get a total body workout with a motivating spin as you improve core strength, agility and balance. The gym ball has improved in popularity in the commercial sector due to its core strengthening functionality, and the fact that the ball workout is so effective at improving flexibility, muscle tone and core strength for the whole body. 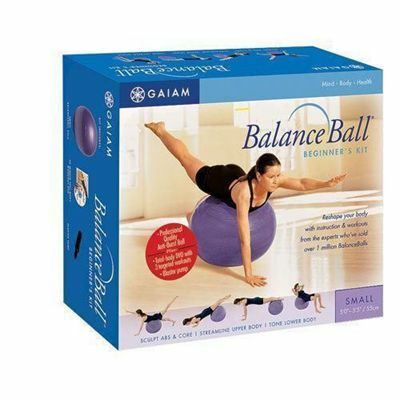 for submitting product review about Gaiam Balance Ball Beginners Kit.